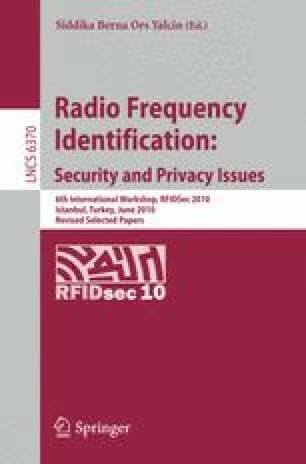 In the last few years, a lot of research has been made to bring asymmetric cryptography on low-cost RFID tags. Many of the proposed implementations include elliptic-curve based coprocessors to provide entity-authentication services through for example identification schemes. This paper presents first results of an 192-bit Elliptic Curve Digital Signature Algorithm (ECDSA) processor that allows both entity and also message authentication by digitally signing challenges from a reader. The proposed architecture enhances the state-of-the-art in designing a low-resource ECDSA-enabled RFID hardware implementation. A tiny microcontroller is integrated to provide protocol scalability and re-use of common algorithms. The proposed processor signs a message within 859 188 clock cycles (127,ms at 6.78,MHz) and has a total chip size of 19 115 gate equivalents.